The treatment corrects skin problems: Dehydration, Wrinkles, Pigmentation, Loose sagging skin, tired face. The results are outstanding. --Oxygen, precious Black Diamond. Rich in peptides. --Gemstones including Black Diamond Crystals, Liquid Diamond and Diamond Dust. --Microdermabrasion , precious gemstones, skin relaxing peptides with pure oxygen to re-energise and rejuvenate the skin for the ultimate red carpet glow. * Want to hydrate, fill wrinkles, remove pigments using Ionocinesis technology? Unique treatment to reduce facial muscle movement and prevent Lines/wrinkles. Using specialised serum, mask and various high technology machines, we can visibly reduce and prevent wrinkles anywhere on face , neck and eyes. This treatment sucessfuly replaces Botox injection , no more poison Injected into the body. For all skin types. Using Volcaninc basalt stones on Acupressure points helps release tension, headache. The massage technique draws lymph to its nodes hence improving Detoxification. The smell of Aromatherapy oils & ear candles help the sinus, migraine and ear wax. 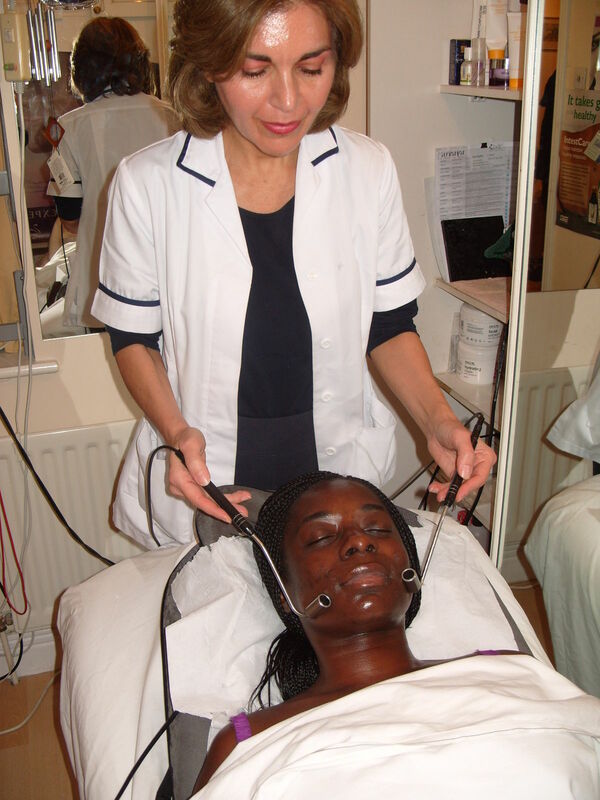 This is a total holistic treatment which leaves you totally calm, balanced, clears the brain of blockages, Clears ear wax, nourishes the skin, tones and frims the face and neck. Recommended once a month. Deeply Exfoliatng and Cleansing. 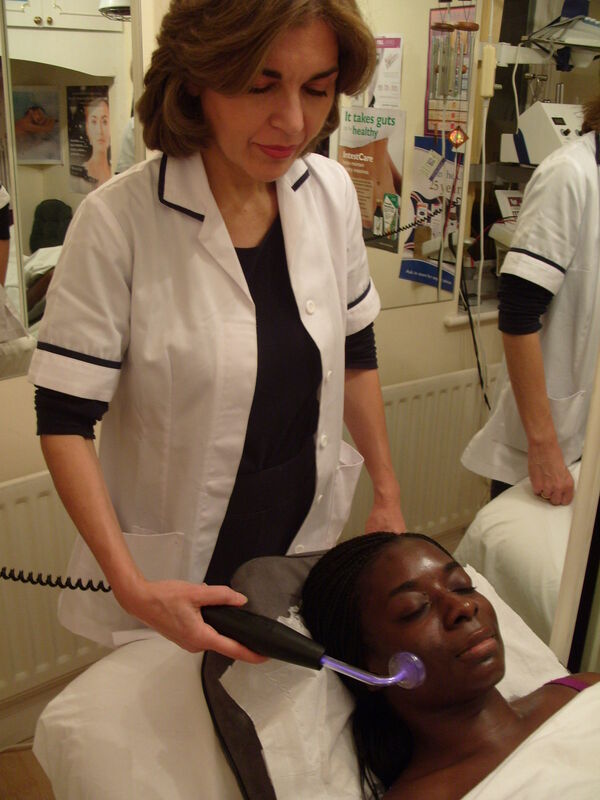 Using Micro Dermabrasion techniqueLarge Pores are minimised, Pigmentation(Sun, Liver, Age, Acne, Scars) are erased. The depth of Wrinkles is is also greatly reduced. Incorporating face, eyes and neck. Using Heated Mask and Galvanic Current. The treatment combats wrinkles,acne, Skin Tone and is deep cleansing. Especially recommended for tired skin and Poor Skin Tone. It will give a Boost before and after exposure to Sun and Wind.The results are immediate. efficiently. 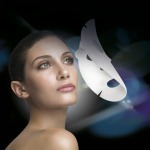 Elimination of Waste from Skin is improved. Reduces Any Form of Redness and Allergy In Skin. Very Effective for Smokers, City People and commuters on Public Transport The Results are Radiant and Rejuvenated Skin. Using Steam ,Galvanic Current for deep exfoliation, High Frequency Current for Acne and skin disorders, Massage and Mask,skin is cleansed deeply. The spots and Eczema are cured. Recommended for Oily,Acne and all skin disorders. Non Surgical Lift will tone and firm the muscles in the face, neck and eyes. Lines and wrinkles are reduced and circulation and Lymphatic drainage is increased.Elasticity is restored in ageing skin and delays the ageing process in younger skins.The Firmness of Muscles will be permanent. This is the ultimate Lifting facial which is corrective and preventive. 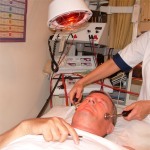 Using Micro Dermixine, Facial Micro Tensions are relaxed. Collagen will fill in wrinkles over a course of sessions. 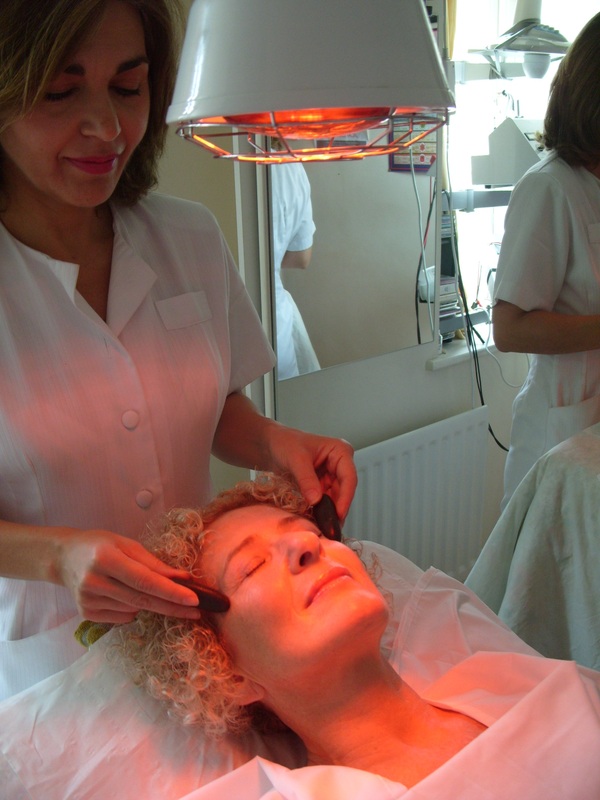 Using Galvanic Current and Infra Red Heat, Serums are inserted into Lines. A Unique Hydrogel Mask is applied and the ingredients are inserted into Wrinkles by Galvanic Current. The Results are visible after the first session.Depth of Wrinkles is reduced by 89% and Facial Volume is increased by 98%. This is a replacement for Needle Injection Fillers. For mature, sagging, loose skin. The specialized peptide serums Tighten the skin on face, neck and eyes. It fills in wrinkles without using needles.Skin elasticity and tone is greatly improved. Fantastic results achieved after the first treatment.Mature clients Look almost 10 years younger. For long term results, a course of 5 is needed. For people who have fat on face,double chin, loose skin on neck and like to reduce the volume of the fat and have a slim, tight, toned face and neck. Powerful lypolitic ingredients penetrate the skins layers to reduce the volume of fatty tissue found in the skin and deliver a drainage effect. Skin is lifted,toned and slimmer than original. For long term results, a course of 5 is needed.